All of these errors boil down to the same thing: There’s something wrong with your DIRECTV Access Card. It’s possible that the receiver itself has a problem, but usually the problem is the access card itself. 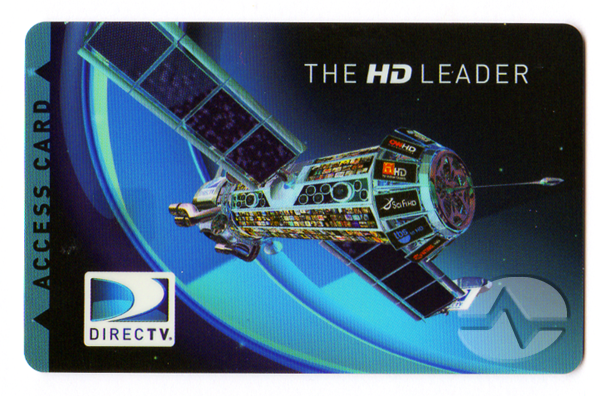 An access card is an important part of a DIRECTV receiver. Think of it as something like the chip in your car’s ignition key. It forms a part of the system that lets you receive satellite signals. Without an access card, nothing else will work because it’s missing a key piece of information: it doesn’t know who you are. Without access cards, all satellite TV would essentially be free and the company couldn’t make money. The entire idea is pretty brilliant and it comes from the need to keep the broadcasts freely receivable. In US law, all broadcasts that are intended for the public must be receivable using hardware you can buy or lease. That’s why you can put up an antenna and get off-air TV. However, the law was written in such a way that you can receive a signal but not really be able to decode it without paying for it. This special loophole allows satellite TV companies to stay in business. Do all receivers have access cards? Yes, all receivers do. Genie clients (and their DISH equivalents, Joeys) do not because they’re not really receiving a signal. The Genie DVR (or Hopper DVR) is doing the receiving and they’re just displaying something the Genie DVR received. In all DIRECTV equipment except the Genie 2, the access card is about the size of a credit card. In a Genie 2, it’s the size of a SIM card as used in a phone. Either way it works the same. How can an access card go bad? Sometimes the gold contacts get corroded. Sometimes the plastic warps just enough so the card doesn’t make contact with the reader. Occasionally someone plays with inserting and removing the access card enough that it wears out. Sometimes it’s not the card that goes bad, it’s the reader inside the receiver. That’s pretty rare, which is why the first step is always to replace the access card. What’s the best way to get a replacement access card? If you try calling the call center at 1-800-DIRECTV, you’ll probably get shoved from person to person while they ask you to reboot your receiver or try other things. I hate to say it but sometimes the “front line” support over there isn’t as good as it could be. Sometimes you need really personal attention. That’s where the techs at Solid Signal come in. Call us at 877.312.4547 during business hours. Tell us the error code you see on the screen and we’ll believe you, the very first time. Our experts will work with the Access Card department at AT&T to get you a new card quickly. In some cases they can send you a new card the same day without waiting for AT&T. Our techs can get to the same computer systems as the AT&T reps at the call center so sometimes all it takes is keying in the new access card number and sending you the new card. Even when we have to go to the Access Card department, we can get straight to the people we need without going through front-line support. This can save everyone hours of waiting. It’s worth calling Solid Signal! What if you didn’t get the receiver from Solid Signal? Call us anyway! Most of the time we can help even if you got the receiver straight from AT&T. If you got the receiver from another dealer, we may still be able to help. Give us a try!